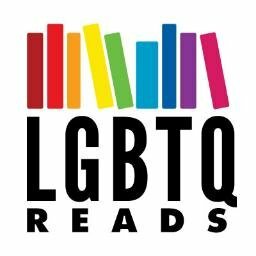 Here at LGBTQReads, we aim to provide a spot where authors of books that rarely get promo space can discuss their books, whether already published or upcoming. The Butterfly on Fire by E.L. Croucher is a case of the former, having been self-published on May 2, 2017, and to talk about it, she’s written a guest post in the form of a self-interview. The Butterfly on Fire is the story of three different lives, each linked together by a tragic, unchanging truth. Eric is growing up and realising how different he is to those around him. How much longer can he hide from himself? Beam is trying to balance work and romance like everyone else living in London. When embarking on such a journey, anything could happen. Fubuki is Queen of a magnificent world known as Macha Land, but finds herself struggling to maintain the peace after an innocent man mysteriously dies at one of her Songshows. Will her utopia last with death at her doorstep? Tell us a little bit about the book to start with. I describe it as a fantasy / contemporary fiction novel, because there is a clearly defined fantasy narrative, whilst the others are a modern-day, fiction narrative. It follows three lives through certain challenges, like most novels, but it all comes together in a twist that (hopefully) the reader won’t expect. Now tell us a bit about yourself. I’m a 25 year old woman working in London. I grew up in here, but also worked and studied in Japan for a while. I’m actually a Japanese translator by day, indie novelist by night. I started writing The Butterfly on Fire because I had something important to say, and I wanted to write about it. I am a part of the LGBT community, and so the main theme of the novel is about that, basically. At first I never even imagined I would finish a complete draft, but step by step I kept at it, and here I am. So, is the book basically just about you? Yes and no. Certain scenes and parts of the storyline are based on what has happened in my life. Even some characters are based on real people. But it is no way just an auto-biographical novel. Thanks also to my editor, it’s developed into its very own little world. Literally in the fantasy chapters. Each character has been developed to how I wanted them, so it’s not as simple as it being ‘about me’. What made you think of the three narrative based structure? Who is your favourite character within the novel? Really? Am I allowed to even choose as the author? Although, I can imagine most authors would choose their protagonist, but for me that would be slightly strange as it’s based on me. So in fact, I would go with the love interest of the fantasy chapters. Prince Hikaru. Hikaru means light in Japanese, so he’s a real stereotypical, male ‘hero’ character. What I’ve also tried to do though, is modernise the out-dated hero / heroine narrative, and play with what it means to be a ‘hero’ when your lover is a powerful, magical Queen. Would you have done anything differently, now it’s all finished? I think anyone would. But generally in life I try and live in the moment and not look back on what I could have done. Sure, some chapters are probably more exciting than others. Some characters could have been developed more. All I am confident in is that the novel tells the message that I want to tell extremely clearly. You wouldn’t be able to read it fully and not see what I’m trying to bring to the table. For me, that is the most important thing. I’m happy with that. What was the most difficult part of creating the novel? I think finishing the first draft is where most people give up. Once I had a full blown draft with chapters and everything I felt like half the battle was done. Going into editing with E Goulding was such an exciting step, and it made it all so much more real. It began to come alive with each chapter we went through together. It was so worth completing the first draft to get to that stage. Who do you feel the book is meant for? It’s an LGBT novel, so the community and all of its lovely people. As an extension to that, I think the parents and siblings of an LGBT person would be able to relate to it as well. To be honest, any person that loves an empowering story and a bit of a tear jerky would love The Butterfly on Fire. That is parallel to a wonderfully different fantasy narrative that really bounces off of the modern fiction element. Anyone that likes LGBT stories and fantasy then, perhaps? What other influences helped towards writing TBOF? Japan was a huge one. There are elements of the Japanese culture and language scattered neatly throughout The Butterfly on Fire. Queen Fubuki does some of her spells in Japanese. The main characters of the modern-day, fictional narrative go for dinner at a Japanese restaurant. Japan has been a powerful and consistent part of my life, so it would naturally be the same in a novel that I create. Wiccanism is another one. I have always been a spiritual person, since I was young. I have tried to stay faithful to the lore and add a sense of realism to the fantasy side of things by having real Wiccan terminology and acts. Lastly, I would be a liar if I said my previous boyfriends and fiancés didn’t play their part as well! Lol! How is the publishing process going so far? So far it’s been a whirlwind of excitement! We are getting some fantastic reviews on our Amazon page, as people are starting to naturally finish the book now. It’s early days because its only been two months since self-publishing The Butterfly on Fire, but we are off to a great start! I couldn’t be happier! Tell us in 10 words why you think people should read this novel? It will change how you view a certain minority (hopefully). E L Croucher is a 25 year old YA novel writer. She is currently living in London, England. The Butterfly on Fire was inspired by her LGBT background and love of the Japanese language and culture. She always dreamt of becoming an author and started working on publishable material since taking A level English. After starting to learn Japanese when she was 16 she entered SOAS (School of Oriental and African Studies) and attended Waseda in Tokyo, Japan on her year abroad. Eventually, after returning home to Kent, England, she started The Butterfly on Fire.